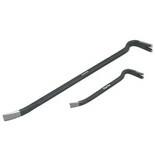 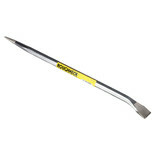 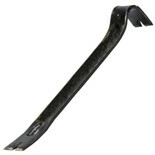 This chisel and point crowbar is perfect for a variety of wrecking and demolition tasks. 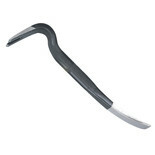 Solid steel, multi function work bars ergonomically designed to help with demolition and breakdown jobs involving wood, metal, brick and stone. 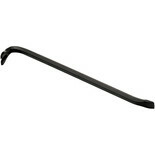 Ideal for general building work these high quality wrecking bars are made from carbon steel; induction hardened with forged heads. 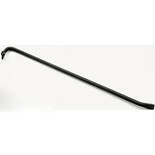 Ideal for general building work this 600mm high quality wrecking bar is made from carbon steel; induction hardened with forged heads. 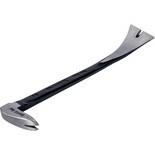 All purpose utility bar for light prying and nail removal. 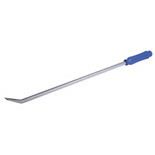 Has integrated slot to help the removal of headless nails. 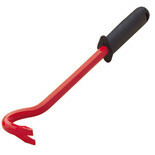 The ideal toolbox companion. 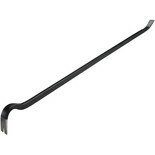 Ideal for general building work, this 450mm high quality wrecking bar is made from carbon steel; induction hardened with forged heads. 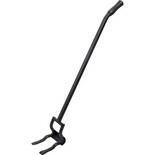 Good leverage enables quick and easy nail extraction from timber.